Mohr Partners, Inc., a global corporate real estate advisory firm, announces that it will sponsor and host the 2016 Golf Classic benefiting Jonathan’s Place. Each dollar raised from the Mohr Partners Golf Classic will go directly to help fund the specialized services and safe, loving homes Jonathan’s Place provides abused, abandoned, and neglected children in North Texas. Last year’s event raised more than $43,000. The Mohr Partners Golf Classic will be held at the Topgolf Dallas location on Thursday, September 22, 2016 from 4:00 p.m. to 7:30 p.m. The Las Vegas-themed event will feature a live DJ, competitive games, food, prizes and a silent auction. Teams of six players will compete in the tournament while enjoying complimentary beer and wine. Tickets are $150 for an individual and $1,000 for a team of six. Sponsorships begin at $1,500. Additionally, non-golfers are welcome to show their support of Jonathan’s Place by purchasing a “Mix & Mingle” ticket for $75. Jonathan’s Place was the first licensed foster group home in the state of Texas for drug-addicted infants and small children. Jonathan’s Place is the only emergency shelter in Dallas County for abused children from newborn to 17 years of age. Proceeds from the golf tournament will go towards funding Jonathan’s Place programs that helped more than 11,000 children last year through its emergency shelter, residential treatment for girls, foster care and adoption programs, and runaway prevention partnership with National Safe Place. Topgolf has evolved to become a best-in-class entertainment venue, complete with dynamic event spaces and a food and drink menu created and prepared by an executive chef. 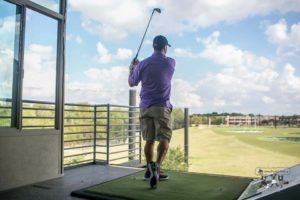 With golf pros strolling the tee line offering tips and climate-controlled hitting bays, Topgolf is flat-out fun at any age, skill level, or time of year. Topgolf entertains millions and is growing the game of golf with its 23 locations nationwide. In addition to the title sponsorship of this event, Mohr Partners has sponsored Jonathan’s Place for over ten years, committing resources by allowing its associates time off to visit the cottage and spend time with the children, as well as planning fun activities throughout the year for the children to enjoy. Additionally, Mohr sponsors annual parties at our corporate headquarters office where the children receive clothing, toys, and other items contributed in part by Mohr’s associates.